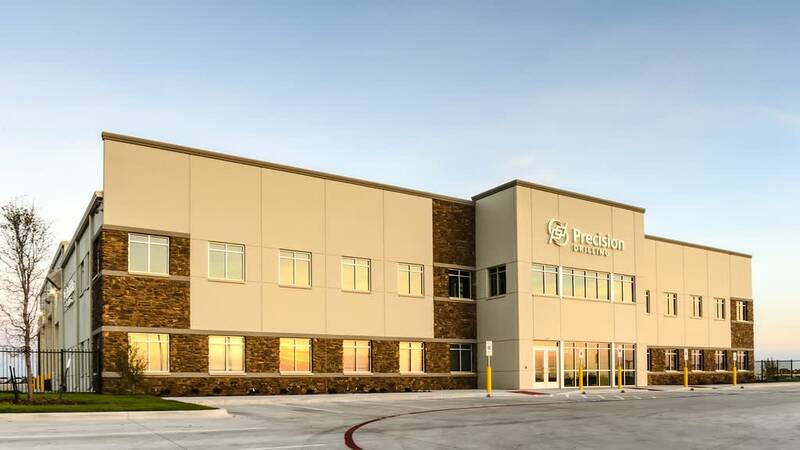 The new facility has 41,400 square feet of office and warehouse/industrial space: A large, 13,500-square foot shop area connected to an 18,700-square foot office area, an 8,000-square foot storage building, and a few 400 square foot yard shelters. 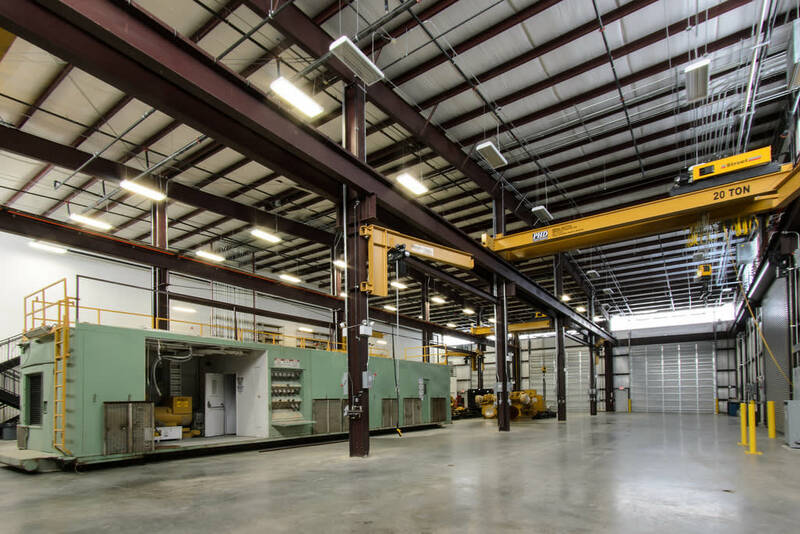 A large pre-engineered metal building shop where workers maintain and clean drilling equipment serves as the main function of the campus facility. 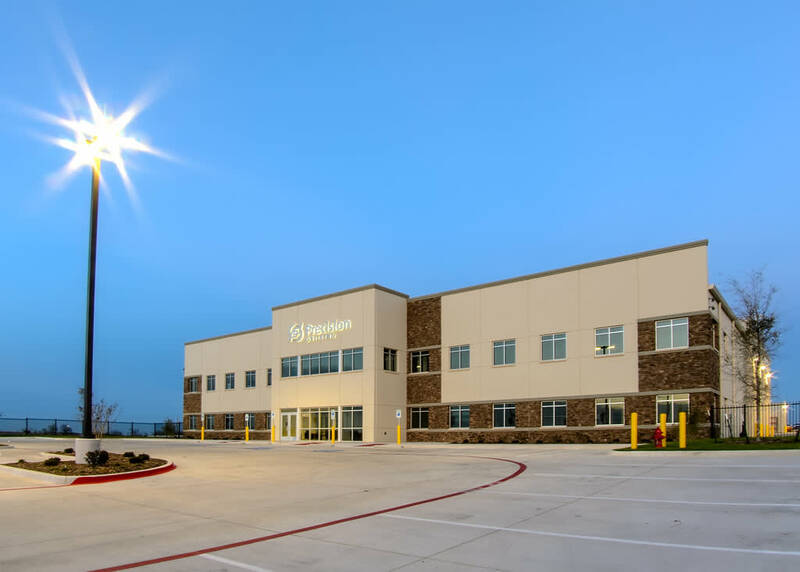 This portion of the building has three bridge cranes and a variety of specialty equipment requiring specific and custom design needs including cleaning equipment, lubricants, and compressed air tanks. The office portion is connected to this area through two transfer areas, one of which is an employee break area that serves both the office and shop. Maintaining separation between two functions while tying them together for common use areas was very important to the client as the office area is intended to portray the corporate image of the company. 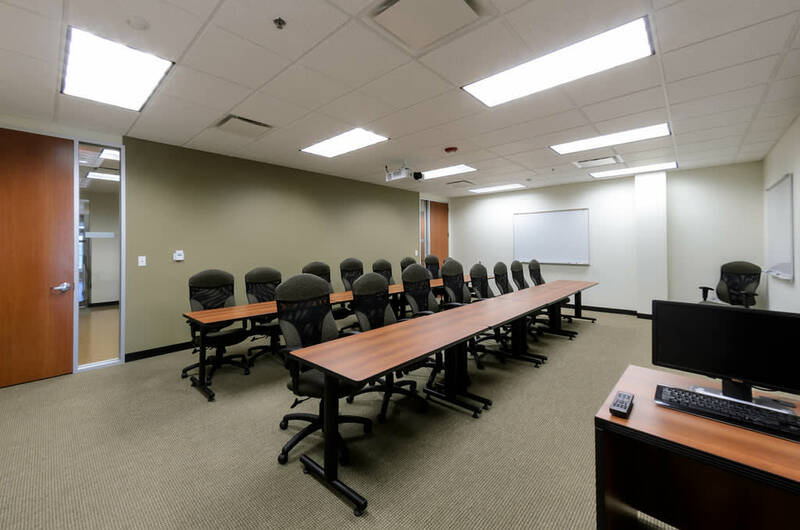 There are also employee work areas, a conference room, training room, and some meeting rooms serving this area. 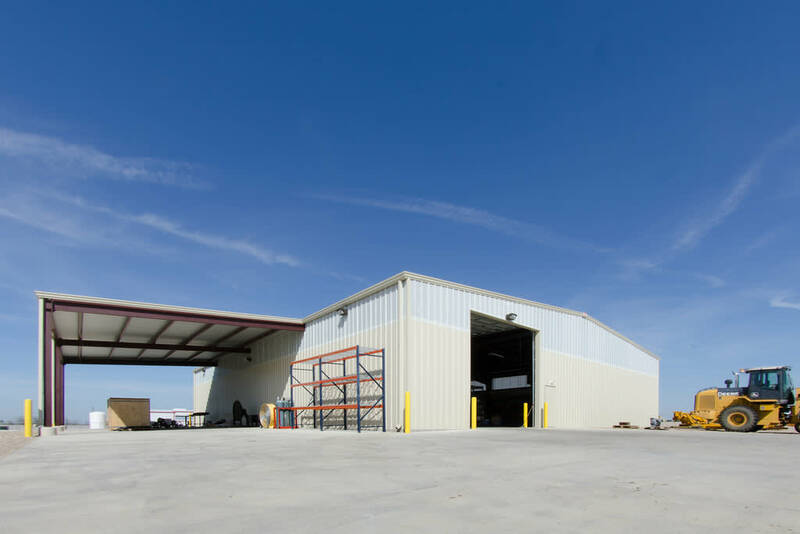 The storage building nearby serves as a holding point for equipment before it is brought out to the rig sites, and was placed for efficient traffic flow with the shop area, making it easy for large trucks and equipment to move between them.